ISD President, James Sunday Akinloye made the call while stating that Fani-Kayode was a threat to national unity, adding that the hate speech must be erased from Nigeriaâ€™s politics. Akinloye explained that if â€œNigeriaâ€™s democracy must grow, then certain persons must be used as an example to other that there are laws regulating social media in Nigeria,â€ adding that people cannot just concoct fake stories. 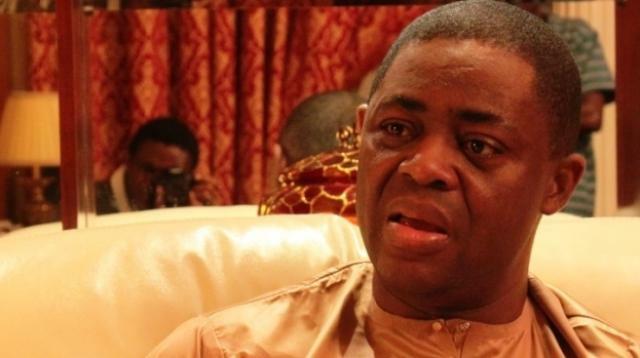 According to Akinloye, it has been four days since ISD petitioned the Nigerian Police and the Department of State Services, DSS, to arrest Fani-Kayode but there was still no action. â€œWe read with interest the response by South-South Political Vanguard describing our petition to the Nigeria Police Force and the Department of State Services as a ploy to gain cheap political ploy but this is not true. â€œWe are dedicated to ensuring that Nigeriaâ€™s democracy is preserved and that certain persons who have evil agenda are brought to book by the law. There should be a reaction to every action,â€ Akinloye said. He then pointed to yet another tweet by the former campaign spokesperson for Goodluck Jonathan in 2015. In Fani-Kayodeâ€™s own words, â€œThe man that is there today is Jubril from Sudan and not Buhari. Buhari is dead and he never came back from London. Only his body did. They invoked the spirit of Jubril and placed it in Buhariâ€™s body. It is a common ritual amongst Satanists. Many lives were sacrificed in the process,â€ he tweeted on 5 April 2018. Akinloye argued that the group has made photocopies of the hate messages and fake news which were peddled by Fani-Kayode and have attached it to a petition that will be taken to the police and DSS this week. â€œIt is important that we do not allow ourselves to be carried away by a response from a group that does not understand the gravity of fake news and hates speeches. â€œFirst we think the Nigerian Police should arrest him immediately and then charge him to court. We have evidence of his cybercrime and the hate it has sown amongst young Nigerians in their formative years. â€œWe have hundreds of responses to some of his post which shows how it was shaping the ideology and philosophy of some Nigerians towards hate and divisiveness and we will not stand and watch kids who are just joining social media to be swayed by this kind of messages,â€ he stated. Akinloye stated that if the DSS and police refuse to arrest Fani-Kayode then his group along with others will stage a peaceful protest both in Lagos and Abuja, Nigeriaâ€™s capital. â€œIf we must embark on a peaceful protest, so be it. Enough of hate speeches and fake news. Mr Fani-Kayode must understand that there are cybercrime laws and if you err, then you should be punished.